The first five years of life offer a critical window for learning, with rapid brain development that does not occur at any other time. During the early years, children acquire the ability to think, speak, learn, and reason. Young children’s ability to use language and understand the meaning of spoken and written words is related to later achievement in reading, writing, and spelling. 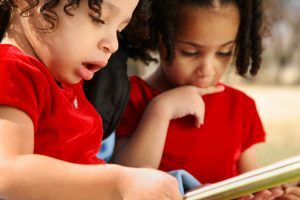 If children miss the opportunity to acquire foundational language skills, they are set up for immediate struggles with literacy as soon as they arrive at school. Research shows that children who enter kindergarten with poor literacy skills start behind in school and tend to stay behind, leading to poor academic achievement, high dropout rates, and often a lifetime of struggle. New York State’s achievement gap is one of the widest in the nation, and that gap begins before children ever get to school. More than one-third of our children enter kindergarten lacking the pre-literacy skills crucial to school success, skills that develop from being exposed to reading and to books. 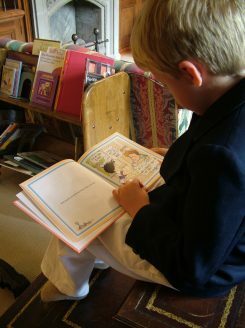 By fourth grade, more than 60% of these children will not meet the standard for reading proficiency. Studies show that when children start school behind, they are more likely to continue to fall behind, with academic success becoming harder to attain as they get older. 24 % of New York Children live in poverty. For Hispanic children the rate is 34%. For the first time ever, nearly one-fifth of America’s children speak a language other than English at home. About 1 in 2 poor American children start kindergarten without the language skills they need to learn to read. 61% of low-income families (nationally) have no children’s books in their home. 43% of people with the lowest literacy skills live in poverty: 17% receive food stamps, and 70% have no job or a part-time job. More than 65% of all state and federal corrections inmates are low literate, with an average literacy level of 4th grade. 85% of juvenile offenders have difficulty reading.